Editor's Note: This is part 2 of a two-part article. Read part 1 here. 4. Set the table for your meeting. Pick the best room in the church for your meeting. The surroundings matter. Set up the right size table. You want everyone seated around one table. One large round table seats six to eight. Two 8-foot tables pushed together seat 10-12. Three 8-foot tables pushed together seat 14-16. If you have more than that, it's not a meeting; it's an event. Set a place for each person with the agenda, a church pen and a bottle of water before the meeting begins. If you can, ask an administrator to set up for your meeting. According to Michael Hyatt, it's better for you to separate your role as leader from the role of meeting administrator. Now you're ready for your meeting to begin. A good meeting blossoms under good leadership. 5. Start and end with a bang. If your team is happy and excited at the beginning and the end of the meeting, they will remember an enjoyable meeting. You can start with a surprise: a small gift sitting on their agenda, or a drawing for a gift card or an announcement of good news. The chatting and joking as people arrive makes them feel comfortable. You can maximize the interpersonal capital by spending a few minutes around the table with each person sharing their high and low since you last met. Another good opener is for each person to pull out a coin and share two things that happened in their life in the year that coin was minted. Ask someone to open your meeting in prayer. Choose someone you know will feel comfortable and will invite Jesus to join you at the table. End your meeting with an extended time of prayer for the topics you discussed, the decisions you made and the needs of the people around the table. 6. Lead a good discussion. You're a good discussion leader when you don't dominate the meeting with your will and presence, but you ask questions, talk less and listen with curiosity. You encourage people to say what they're thinking and add their ideas to the conversation. Meaningful discussion can come with a little heat because people have different opinions and they care about the outcome. Don't stifle the heat, but also don't allow it to blow up into anger. Affirm their passion on the topic and your team's ability to find the best outcome. Give them space to find the win-win solution. One more tactic in leading a good discussion is to keep on track when someone starts to lead the conversation over to another topic. Say, "That's a good observation, and we should talk about it, so let's save it for another time and stay on track with this topic today. Sound fair?" Your skill in leading a productive discussion will grow each time you try. Think about the discussion for a minute after the meeting to see what went well and what you want to handle differently next time. 7. Avoid annoying meeting behaviors (AMB). There is a long list of things people do at meetings that irritate and frustrate others. You may have others to add to this list. If these behaviors are evident at your meetings, you need to address them. They drag your meeting, and your team, down. When you talk about them, you create a better atmosphere in your meetings, and you'll win the respect of the people in the room who don't participate in AMBs. Just like leading a meeting is a learnable leadership skill, so is attending a meeting. In a team-building agenda item (as opposed to a tell-'em-what-you-really-think rant), you can coach your team to avoid AMBs. Get the download at the end of this article for a staff training lesson plan on avoiding annoying meeting behaviors. A good meeting requires follow-up. 8. Everyone leaves knowing their action items. Steve Jobs called it the DRI: the Directly Responsible Individual. It's the person who is directly responsible for any follow-up related to an agenda item. We like to wrap up our meetings by having each person say what they will do and when it will be done. Everyone has to think it through and own it, and everyone at the table hears what people are committing to do. Send meeting notes within 24 hours to everyone at the meeting, and others who should know, listing the main points of discussion, the action items and the Directly Responsible Individual. 9. Leave time between meetings to do the work. I know. Some days are meeting days and you go from one meeting to the next. You're smart to group your tasks. That's what the time management gurus tell us. But did they mention you should allow time to follow up after your meetings? You need a few minutes to send an email, make a phone call or put a date on your calendar. You need to block off time to work on a project, to capture ideas and decisions, or to make a note to follow up on a delegated action item. Avoid the overwhelm that comes from a day of meetings with no time to work by scheduling a few minutes between meetings or a chunk of time at the end of the day, to move forward on what happened in your meetings. You'll feel on top of your work—and your life—if you spend a few minutes on meeting follow-up. Hal Seed is the founding and Lead Pastor of New Song Community Church in Oceanside, California. Hal mentors pastors to lead healthy, growing churches. He offers resources to help church leaders at pastormentor.com. 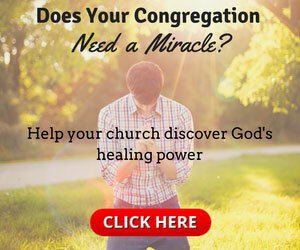 This article originally appeared at pastormentor.com.